Cuba - 2004-BK-112 CUBA 2004. 1$. JOSE MARTI. 4 CONSECUTIVE UNC. 2009-BK-110 CUBA 2009. 1$. JOSE MARTI. 5 CONSECUTIVE UNC. 2014-BK-23 CUBA 2014. 50$ CALIXTO GARCIA. UNC REEMPLAZO REPLACEMENT (BZ). 2007-BK-15 CUBA UNC 2007 10$. MAXIMO GOMEZ. 4 CONSECUTIVE. 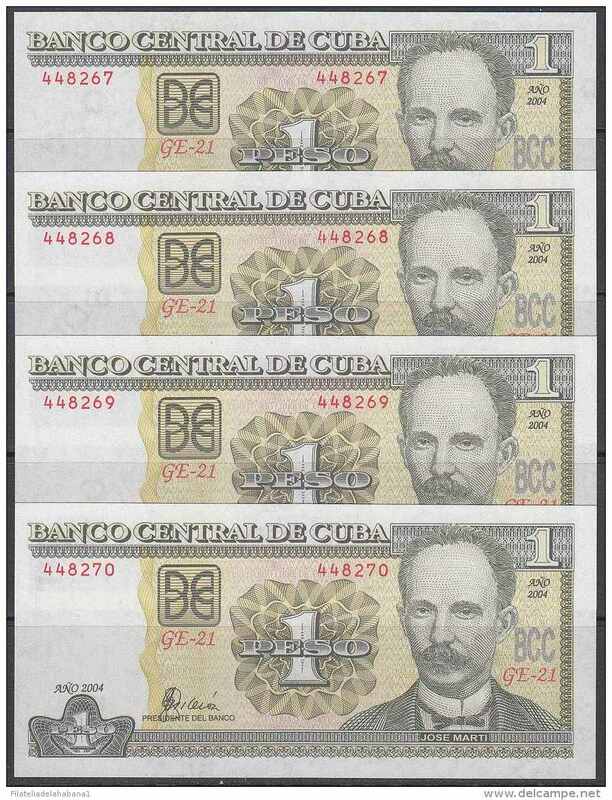 2007-BK-127 CUBA 2007 10 cuc REEMPLAZO REPLACEMENT USED SERIE DZ. USED. 2003-BK-110 CUBA 2003. 1$. BANCO NACIONAL. JOSE MARTI. UNC. 5 CONSECUTIVOS. 2014-BK-27 CUBA 100$ 2014 CESPEDES. REPLACEMENT REEMPLAZO "AZ" XF. 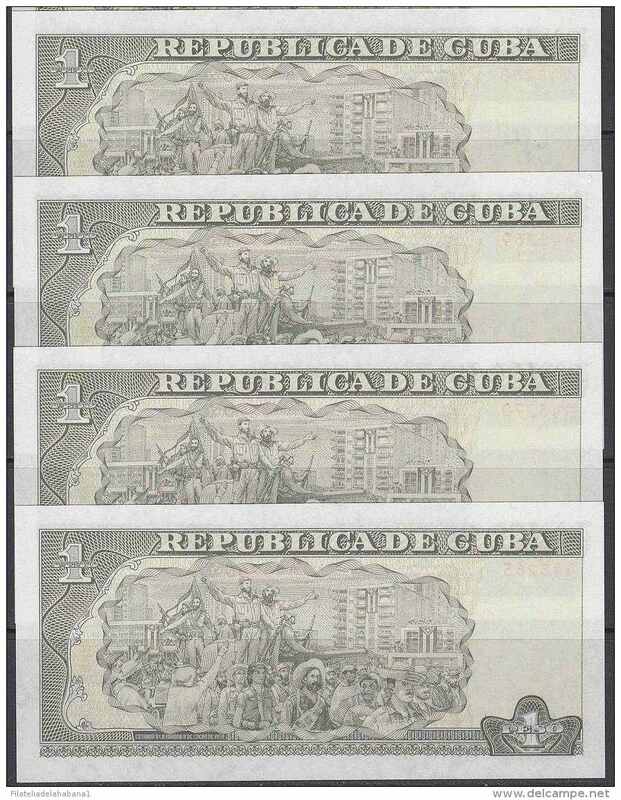 1999-BK-1 CUBA REPUBLICA. 50$ 1999 CALIXTO GARCIA REPLACEMENT REEMPLAZO.